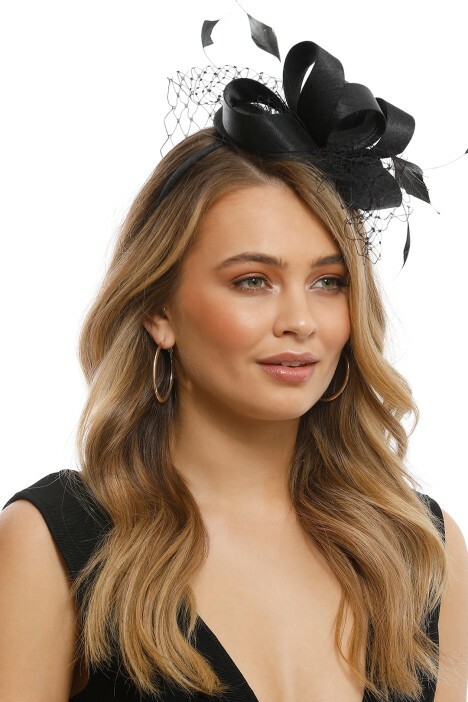 This fascinator by Morgan & Taylor is a beautiful classic style – perfect for any race day look! It features a satin beret with structured loops, feathers and veiling. Pair with a little black dress or rent a lace dress in a contrasting colour for a statement! Team with a small designer clutch to hold all of your beauty essentials. For more outfit inspiration read our spring racing millinery guide.